By Samuel Cohen - Bedford/St. 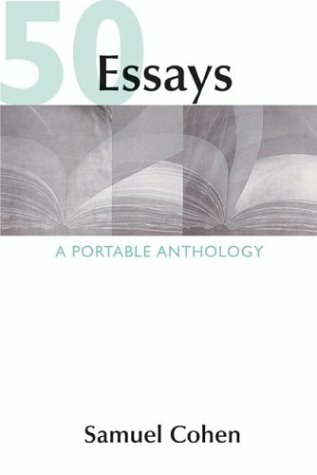 Martin's (2010) - Paperback - 560 pages - ISBN 0312609655 50 Essays: A Portable Anthology is the best-selling value-priced reader in the country because its virtues don't stop at the price. Its carefully chosen selections include enough classic essays to reassure instructors, and enough high-interest and high-quality contemporary readings to keep things lively and relevant for students. The editorial apparatus is more extensive than in competing value readers, but still is flexible and unobtrusive enough to support a variety of approaches to teaching composition. In its third edition, 50 Essays continues to offer selections that instructors enjoy teaching, at a price students won't resist, but with more editorial emphasis than before on the critical thinking and academic writing skills of today's composition courses.